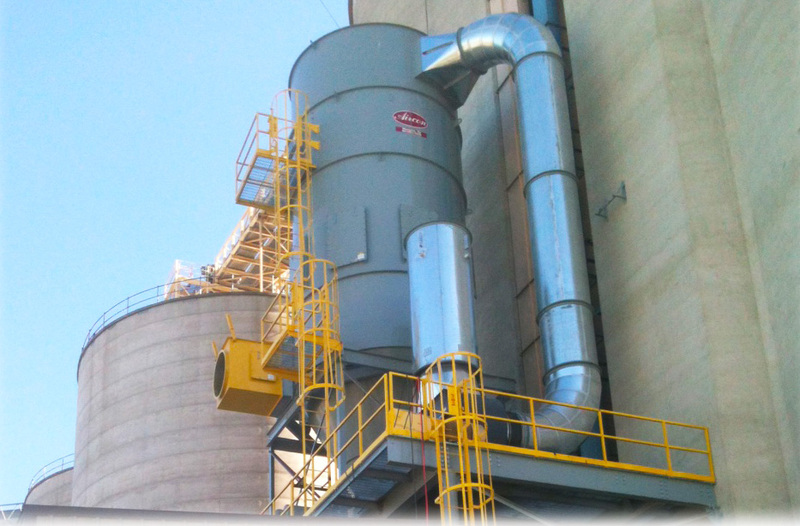 From the smallest grain co-ops in the Southeast to the largest rice-handling facility in Arkansas, Aircon systems provide a critical function in expelling potentially explosive dusts from grain dryers and elevators. Our systems can be designed to maneuver through the most constrained areas inside a headhouse. We can handle dust problems at a truck loadout all the way to the highest tripper floor, call us for assistance in field measuring, quoting, or developing a system that works for you.